Every vehicle that goes out on the road must have obligatory insurance that covers at least damages to third parties such as other vehicles and people. Included in Goldcar's rental rates is insurance for the car according to the current legislation, insurance of vehicle occupants and cover of third parties. Also included is vehicle damage cover (CDW) and theft with an excess. If you are looking for fully comprehensive cover for your car rental, we offer, in all our offices, the possibility of renting cars without an excess with our Super Relax cover. You can use this option to reduce, in case of loss, any costs to zero. The damages will be covered, in this case, by your cover against damage and theft. 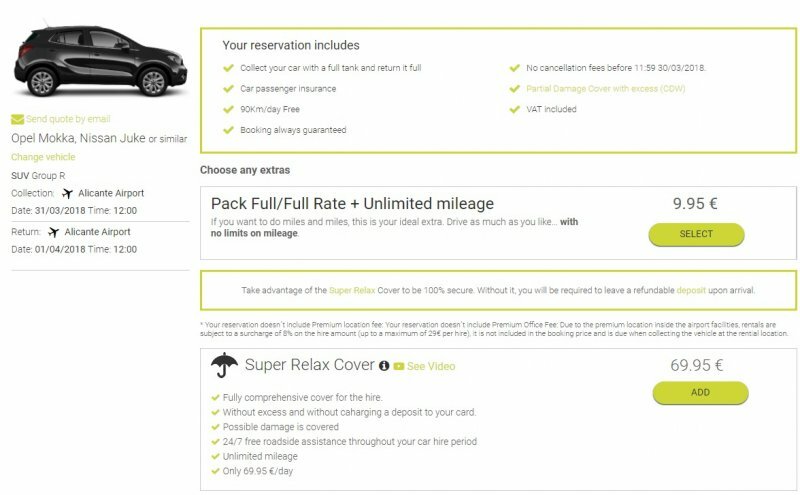 If what you're looking for is an all-inclusive car rental with a closed price you might be interested in our Goldcar-Unique pack. 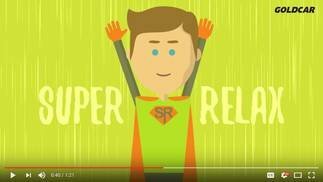 What is Super Relax Cover? 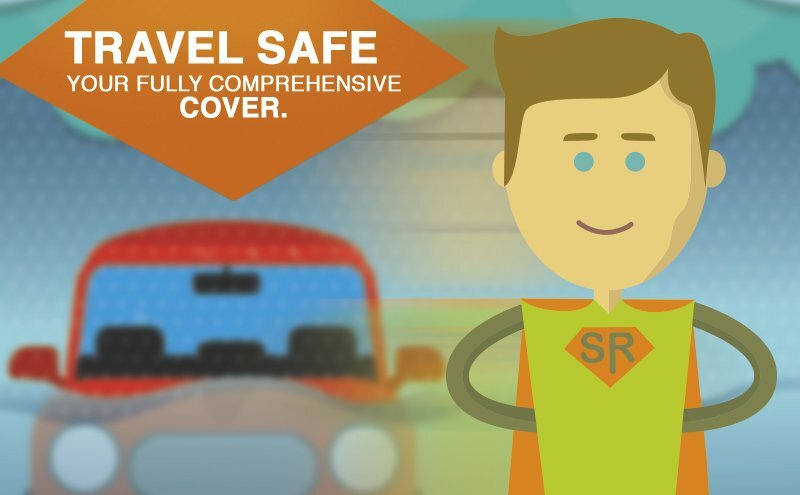 Our Super Relax Cover is the additional cover that insures any possible damage of the vehicle and has 24 hour roadside assistance, with no excess and without the need to hold a deposit from your card. In the following video we explain it in detail in just 80 seconds. And if you're looking for an all-inclusive rental car your options are the Key'n go or Click'n go packages that include this service or our All-inclusive car rental Pack Goldcar Unique. After indicating the dates of your booking and the desired destination in our car search engine, you can select the tariff and the group of car from our fleet. Then in the extras module you can select the Super Relax cover, so you don't have to leave a deposit as a guarantee for the vehicle. Full cover of the vehicle. No Excess and without charging a deposit to your card Any possible damages will be covered. Free Roadside Assistance 24/7 throughout the rental. If you love sightseeing and are always looking for cheap trips, now you can also be part of our Goldcar Club. Remember that if you are a member of our club you will receive a small gift. This insurance guarantees the greatest cover for any eventuality that you may have while driving your rent a car. If you have not taken out rental car cover without an excess and the vehicle is damaged on the return of the vehicle, in most cases you must pay the cost of the repair. The cover against damages and theft included in the rent limits the costs up to the maximum of the excess. If you take out the Super Relax cover you don't have to worry about the excess as you will be covered for any damage that occurs to the vehicle. In addition, by taking out this additional cover you will not have to leave any deposit when you pick up your rental car. Goldcar has offices spread across 19 countries around the world such as Spain, Portugal, Italy, France, United Kingdom, Croatia, Malta, Holland, Greece, Turkey, Andorra, Cyprus, Serbia or Iceland, where you can find the best prices on your rent a car. Damage to the engine due to negligence or refuelling errors. Damage to the interior of the vehicle (if there is not a vehicle accident). Rescue of the vehicle on any roads not suitable for driving (beach, forest tracks). Special cleaning of the vehicle. Cost for the management of fines for speed and parking. Breakage of side windows or rear window and lost or damaged keys. Emergency repairs (puncture or wheel change). If you have been offered fully comprehensive car rental without an excess or similar and is not directly on the Goldcar website, you must be attentive. Only Goldcar can offer you this service on their cars. The Super Relax or Mega Relax covers are the only options that will allow you to have a direct insurance that means no charging a deposit to your card. • If you need more information about the rental you can check our Terms and Conditions. • If you have any questions or doubts, do not hesitate to contact our Customer Service. Sorry, there has been an error. Please try again. This email address is already registered in Goldcar Club.‭ ‬You can log in or recover your password.‭ ‬Thank you very much. Congratulations! You are about to become a Goldcar Club member. Now you only have to validate the email we have just sent you. Click on the link enclosed in the message and start to enjoy all the benefits of Goldcar Club.